D.I.T.C. is EASILY one of the dopest but still slept on crews in all of hip hop and I have absolutely no idea why. You've got 3 of the dopest lyricists with Lord Finesse, Big L and OC with 3 of the illest producers with Diamond, Showbiz and Buckwild and it's not like Fat Joe and AG are to be f%*ked with when they're in their bag too. Which is why I'll never get why these cat's names aren't brought up when folk are chopping it up about hip hop's dopest clan, posses, crews and clicks. 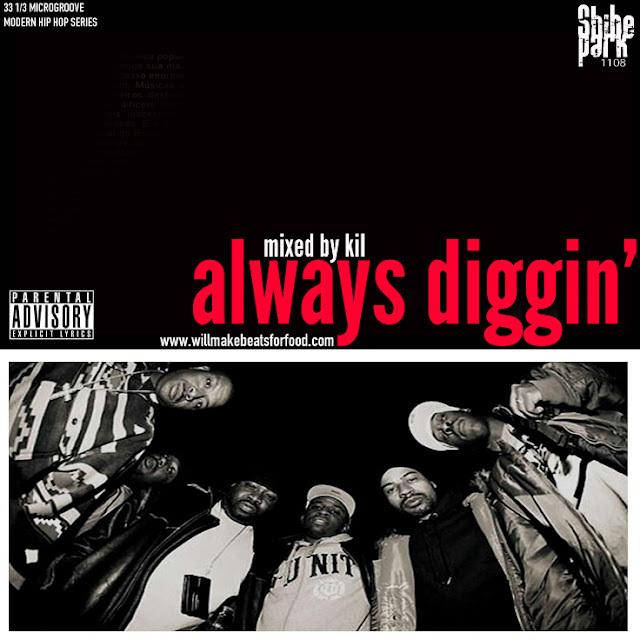 So if you're on my side of the fence with knowing how much the culture owes these cats then you'll love my Still Diggin' mixtape saluting some of my fave D.I.T.C. bangers and if you're one of those folk sleeping on the squad then you should be woke by the time you're done with this mix. Dope selections nonetheless, I enjoyed the tape. Yoooooooooooo...how the hell did I forget Day One?!?!?!? I'm getting old smdh.